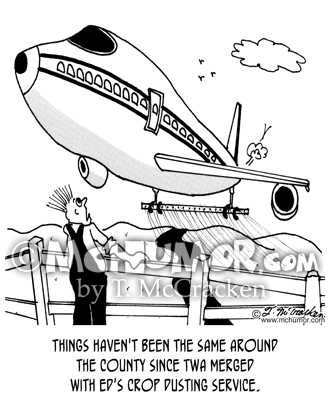 Farm Cartoon 3211: A huge jet flies inches from a startled farmer's head. 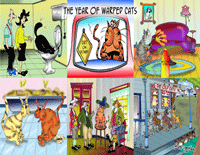 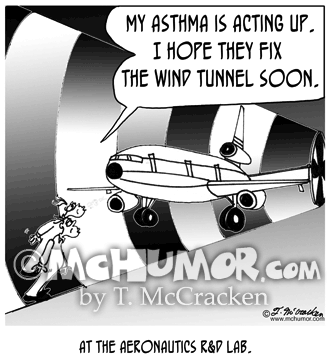 "Things haven't been the same around the county since TWA merged with Ed's crop dusting service." 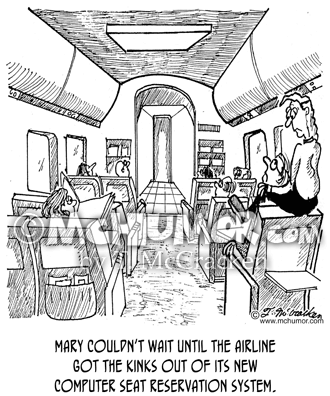 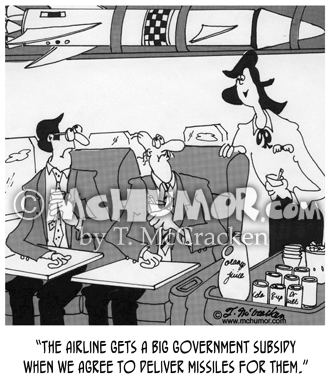 Missile Cartoon 5225: Of a missile in the overhead bin a stewardess explains, "The airline gets a big government subsidy when we agree to deliver MX missiles for them." 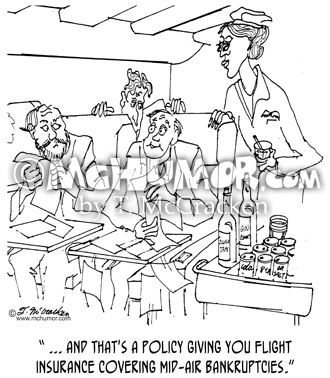 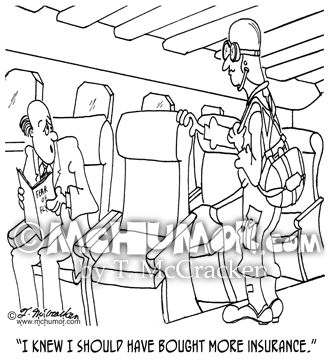 Passenger Cartoon 2911: An insurance agent on an plane showing a file to the passenger next to him saying, " ... and that's a policy giving you flight insurance covering mid-air bankruptcies." 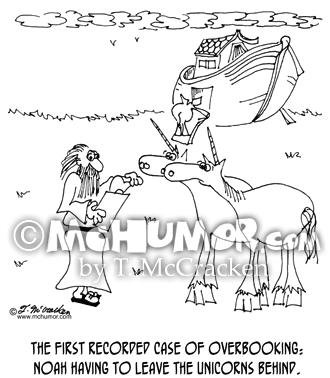 Noah Cartoon 6832: "The first recorded case of overbooking: Noah having to leave the Unicorns behind." 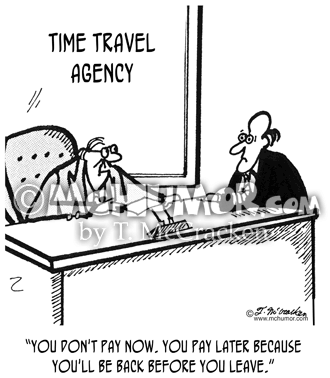 Time Cartoon 5138: At a "Time Travel Agency" an agent says to a man, "You don't pay now. 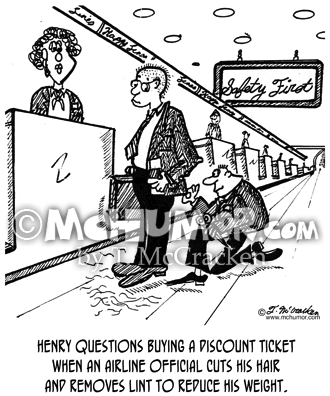 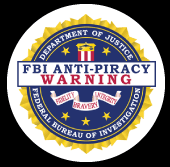 You pay later because you'll be back before you leave." 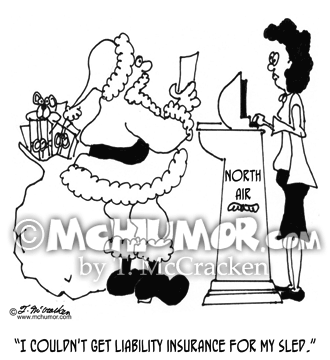 Santa Cartoon 5909: Santa boarding a plane explains, "I couldn't get liability insurance for my sled."